April 2016 A to Z Challenge – I’m blogging about history. M is for Mount Vernon. Mount Vernon was the home of our first president, George Washington. It sits in Fairfax County, Virginia on the banks of the Potomac River. The first to own the property was George’s great-grandfather, John Washington, and John’s friend Nicholas Spencer in 1674. The land was successfully acquired due to Nicholas working for Thomas Colepepper (my cousin). Colepepper was the English lord who controlled that part of Virginia for the Crown and no one bought property without his permission. When John Washington died in 1677, his son Lawrence inherited his father’s part of the land. In 1690, Lawrence agreed to divide the 5,000 acres with the heirs of Nicholas Spencer, who had died the year before. When Lawrence died in 1698, he left the property to his daughter Mildred. She leased the property to her brother Augustine (George’s dad) and he later bought it from her. He built a house on the site between 1726 and 1735 and called it Little Hunting Creek. The original foundation of that home is still visible in the present house’s cellar. In 1739, Augustine’s eldest son Lawrence (George’s brother), who was twenty one years of age now, began buying up neighboring tracts of land from the Spencer family, enlarging the farm. When their father died, Lawrence inherited the property and changed the name to Mount Vernon. Lawrence died in 1752 and left some of the estate to his widow and the rest to his brother, George. Once the widow remarried and eventually died in 1761, George became the sole owner of the property. In 1758, George began renovations on the house, raising it to two and a half stories. In the 1770s, just before the Revolution, he added even more, the final expansion rendering a twenty-one-room home with an area of 11,028 square feet! A majority of the work was completed by slaves. You can tell he wanted the home to be symmetrical, but if you look at the center door, you will see how far off it is. That probably drove George nuts every time he pulled up in front of the house. Following George’s death in 1799, the home was passed down through several generations, but the estate progressively declined. In 1858, the Mount Vernon Ladies Association saw the historical importance of the home and saved it from ruin. They paid the residents over $5 million in today’s money to purchase the home and they restored it. It is still owned and maintained by them and is opened every day of the year for the viewing public. The remains of George and Martha Washington are still on the property in a crypt behind the house. 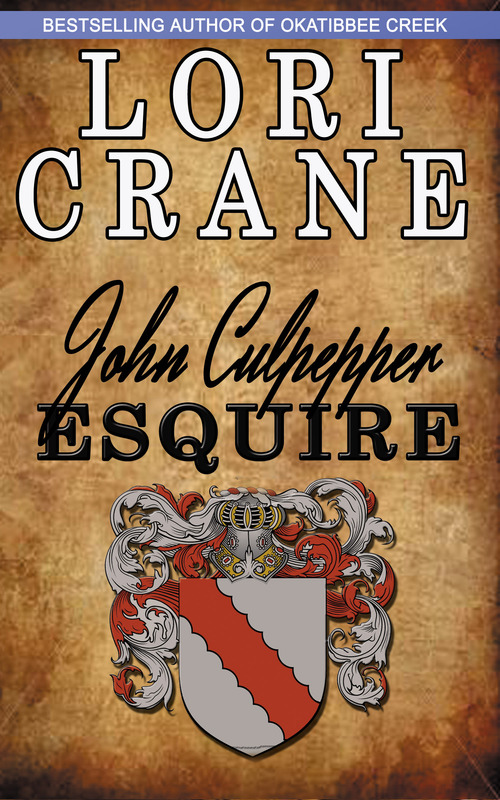 In place of my usual Saturday Snippet for the next few weeks, I’ll be writing about the people and places from the third book in the Culpepper Saga, “John Culpepper, Esquire,” which will be released July 2015. If you missed the first or second books, you can see them HERE and HERE. In the book, due to unforeseen circumstances, John finds himself as patriarch of the Culpepper family, suddenly with two young nieces to watch out for. He marries twenty-year-old Anna off to Christopher Dansby and eighteen-year-old Frances off to an up-and-coming politician named Samuel Stephens (photo). Samuel Stephens was born in Jamestown, Virginia in 1629. He lived on a 1350-acre plantation called Boldrup in Newport News, Warwick County, Virginia. Upon Stephens and Frances’s marriage in 1652, she had only been in America for two years. She had been raised in great splendor in England as the Culpepper family were wealthy aristocrats, but following the English Civil War (1642-49) the family needed to escape from the country before they were beheaded. Her uncle John rescued them and brought them to Virginia. Needless to say, the amenities in Virginia were not quite the lands and manors Frances was accustomed to. Upon marrying Samuel Stephens, she surely reverted back to her rich comforts. 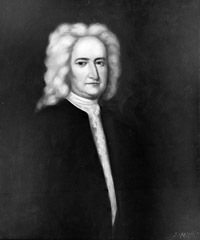 Stephens served as the Commander of Southern Plantation (later northeastern North Carolina) 1662-1664, and later became the governor of Albemarle (later North Carolina) from 1667-1669. He was the first native born governor in America. He died in office at the age of forty. They had no children. Frances inherited all of his wealth. After his untimely death, Frances married Sir William Berkeley in 1670. Berkeley was the governor of Virginia and a childhood friend of her uncle John’s. He was nearly twice her age, but the two made a likely political team. In 1671, the Berkeleys sold Boldrup to William Cole, a member of the Virginia Council. Today, Boldrup Plantation is a 42-acre historic archeological site and on the U.S. National Register of Historic Places and the Virginia Landmarks Register. The site includes the graves of William Cole and two of his wives.